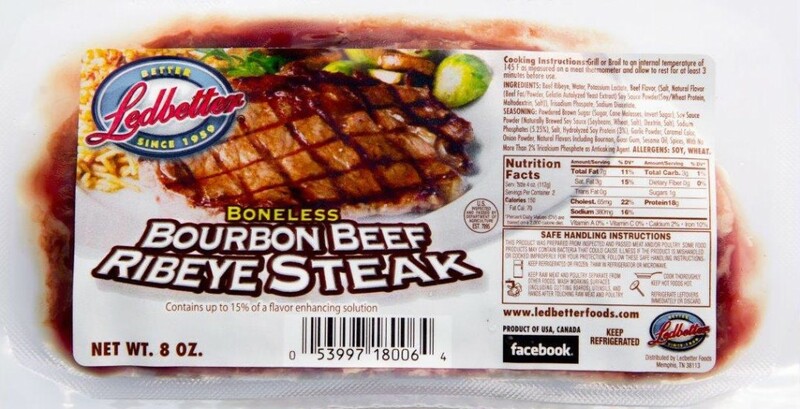 Boneless Bourbon Beef Ribeye Steak, 8 oz. Our boneless ribeye steaks are custom trimmed and pre-marinated for your convenience. They are the perfect steak for any cookout! © 2019 Ledbetter Foods, Inc.